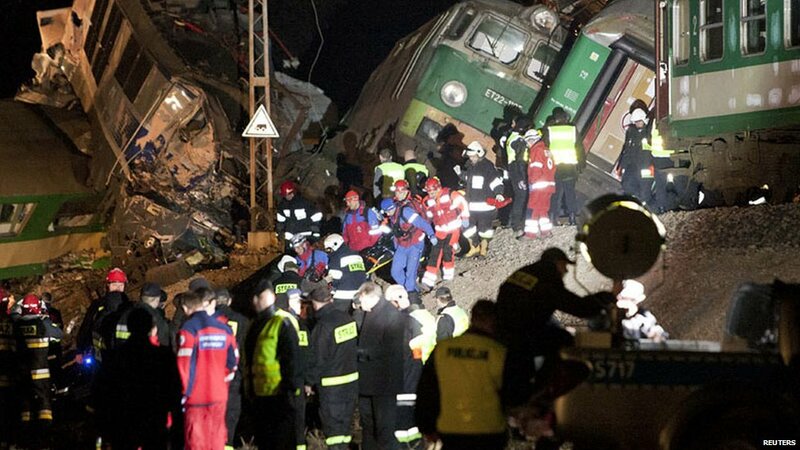 At least 16 people were killed when two passenger trains collided head-on in southern Poland late on Saturday, near the town of Szczechociny. Two express trains, one of which was on the wrong track, collided head-on, a senior railway official said. 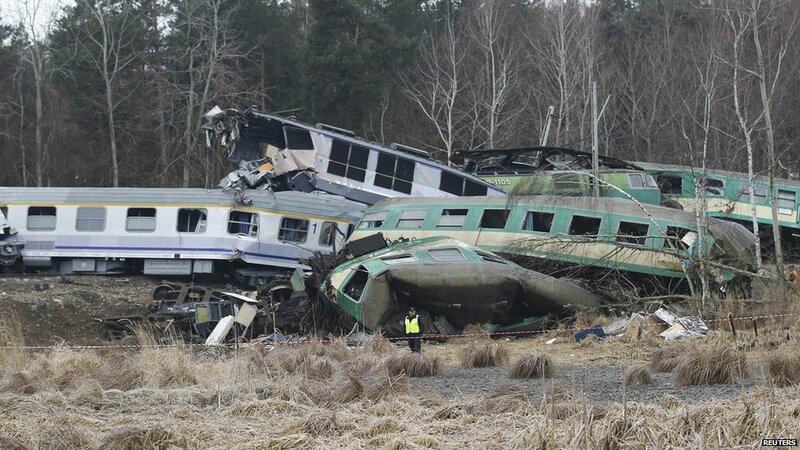 The two trains, comprising 10 carriages in total, were carrying an estimated 350 passengers at the time of the crash. 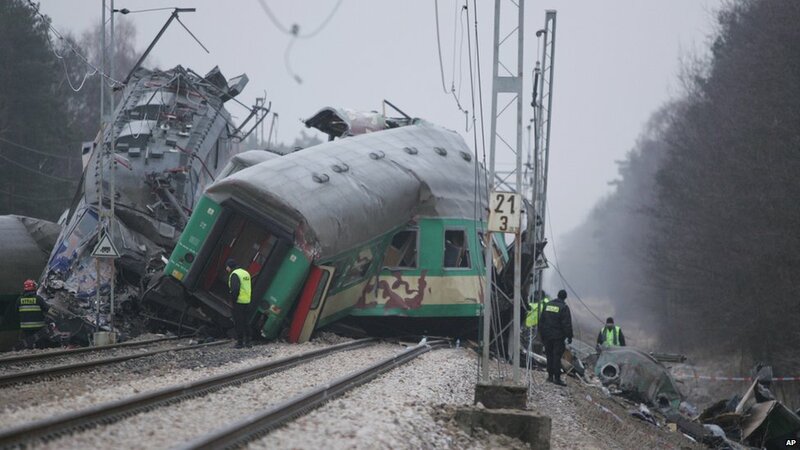 One eyewitness said the carriages had been forced together like a "concertina". When daylight came, onlookers gathered at the site of the train crash. 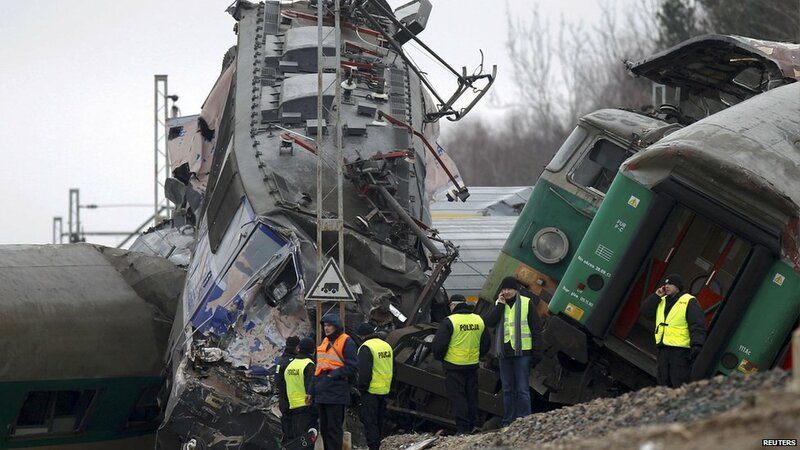 Prime Minister Donald Tusk called the accident Poland's "most tragic train catastrophe... in many years".